I have been travelling for work… and then my oldest friend invited me to his birthday… so I have been extending my carbon footprint by going to Perth for work, then to my friend’s birthday on my way home (for those who don’t know, Sydney is not on the way home to Adelaide, when you start out in Perth). Anyway… in the hurry to leave home I managed to remember to pack travel knitting. I started out with a sock in progress. Eucalyptus dyed patonyle, destined for the feet of my Blue Mountains friends. The weather where they live calls for handknit socks. These colours are the result of overdyes, where I didn’t like the initial colour and decided to try again. By the time I left for Perth, I had one sock knit and another underway and caused quite a bit of fascination among the project team by knitting in breaks and grafting a toe over lunch. I had overdyed the rest of my patonyle more recently. It started out dyed with black beans (not as colourfast as I’d like) and plum pine (not at all colourfast). 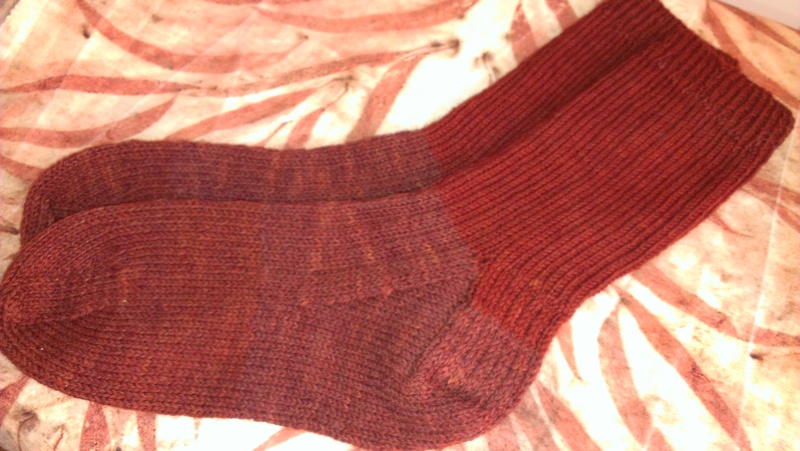 I re-dyed the sock yarn, originally bought second hand at a garage sale. Although I was happy with the finished colours, it turned out that I had hurried the indigo too much and I was left with crocking… the blue rubbed of on my hands a lot as I was knitting in Perth. This made it certain the finished socks would leave the wearer with blue feet and I finally decided to abandon them after a few centimetres, frogged and left the yarn in a bin in Perth. Sigh! That must be the fiirst dyeing fail I have pronounced irretrievable. I had an alternative plan. I pulled out yarn I intended for a hat and chose one of the two patterns in my bag, Jared Flood’s Turn a Square. I wound the ball in my motel room and cast on. Here it is as I wait for the taxi to the airport in Perth. I finished it on the way and started a second hat with the rest of the skein, top down. I’d call that a productive trip on many fronts! 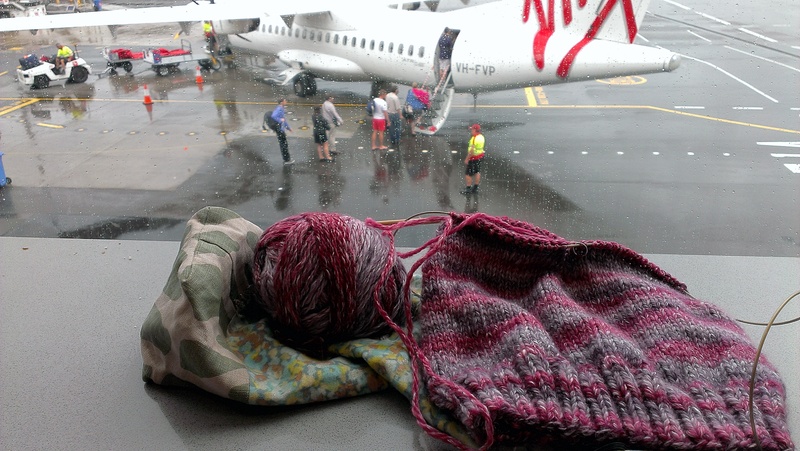 Knitting and traveling go together well; it’s a good use of time. I really like the hat. Do you think the indigo dyed wool could be washed over and over to stop the blue from rubbing off? 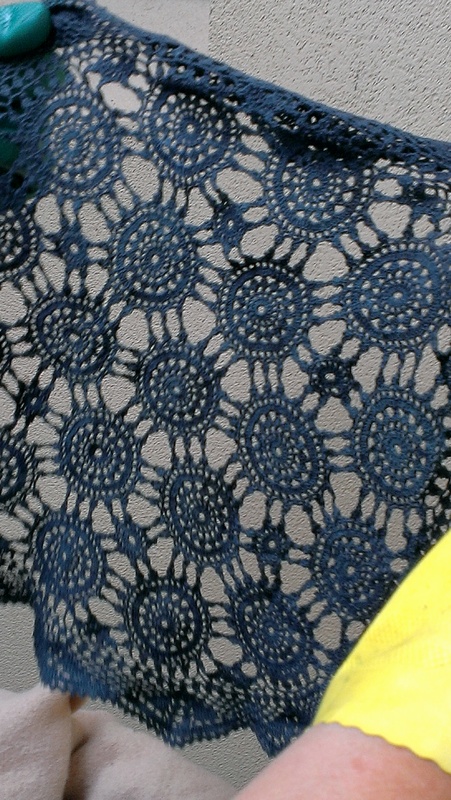 Just curious as I have yet to try dyeing with indigo…. I’m too scared. Well… I rinsed very well on the day I dyed. 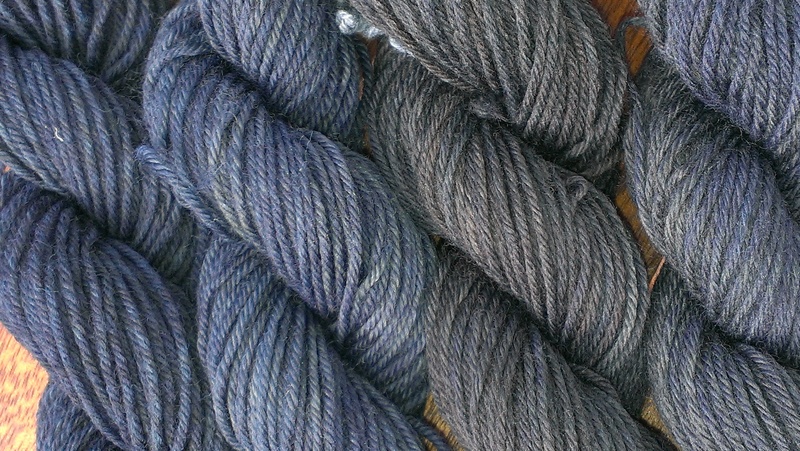 Then I re-skeined and just re-skeining gave me blue fingers. So I rinsed a whole lot more times. With water, with shampoo… And as you know, knitting gave me blue fingers! After that I trusted my memory on the problem being a continuing one–and my memory is not to be trusted. 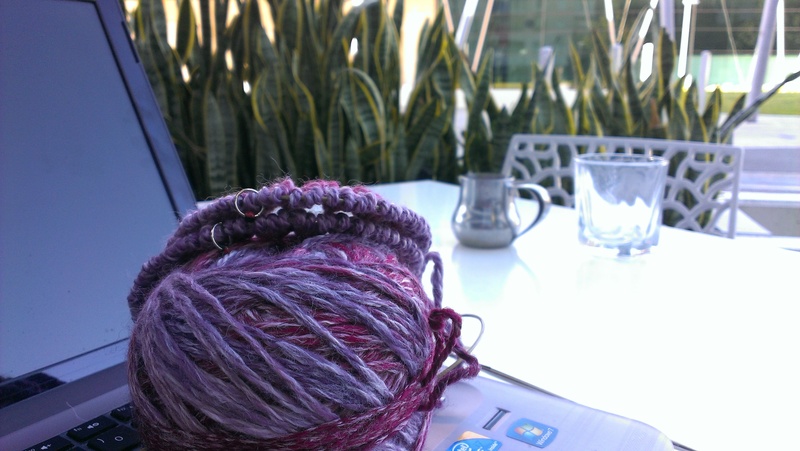 You and Sabine have sent me off researching on Ravelry (where there are many more experienced dyers). It is as I remembered, the problem is caused by indigo that hasn’t attached to the fibres at all, and this is likely because I didn’t allow the indigo to reduce properly (so it wasn’t in a soluble form and was just deposited on the wool without any real bond). On the other hand, you’ve convinced me that I should try some of the methods that other dyers there list. I left one skein in Perth, too late for that, but I do have the remaining three at home. Back to the sink with them 🙂 Thanks for your encouragement. Don’t be too scared… this is about my fourth or fifth attempt and I haven’t had this problem before. If you try it, the forums on Ravelry have lots of enthusiastic indigo dyers using all kinds of methods only too keen to support novices. Just reading all the questions and answers is very informative. I’ll be watching your blog to see if you find any solutions to the indigo challenge. Luckily our travel is now all long distance car travel and ferries so there is no problem with my knitting needles being banned. I hope to be able to knit those blue socks! I haven’t had any trouble with knitting needles on planes here since they were removed from the banned list some years ago… but there are always conversations, often with other pasengers. 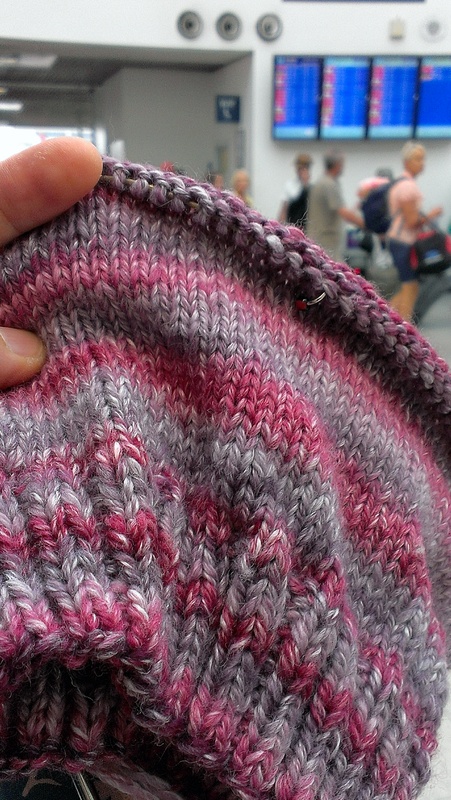 I now just put my knitting out in plain view when going through security to take the mystery out of it. Thanks Sabine, you and Deb sent me off on an optimistic research project after having given up and actually put wool in the bin (trust me, this is a first!) <More detail above, and thanks again! I’m always so inspired by your projects and have a lovely skein of handspun/hand-dyed yarn (not by me – won it in a raffle! 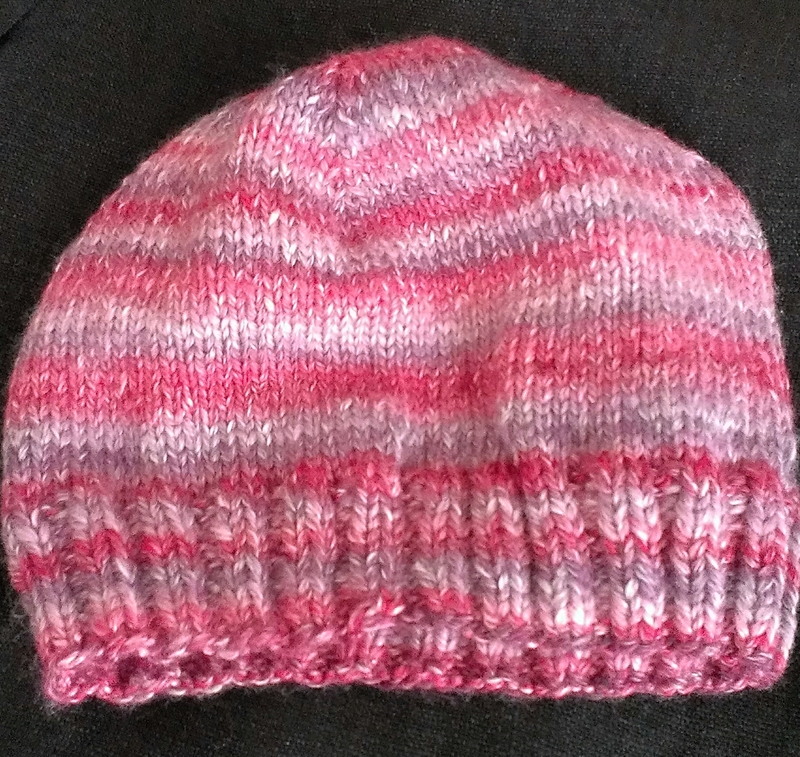 )that I’ve now started and frogged 5 times…I’m beginning to wonder if it just doesn’t want to be a hat! What a happy thing to win a raffle and get handspun yarn 🙂 BUT 5 times is a lot of frogging… have you figured out the core of the problem? 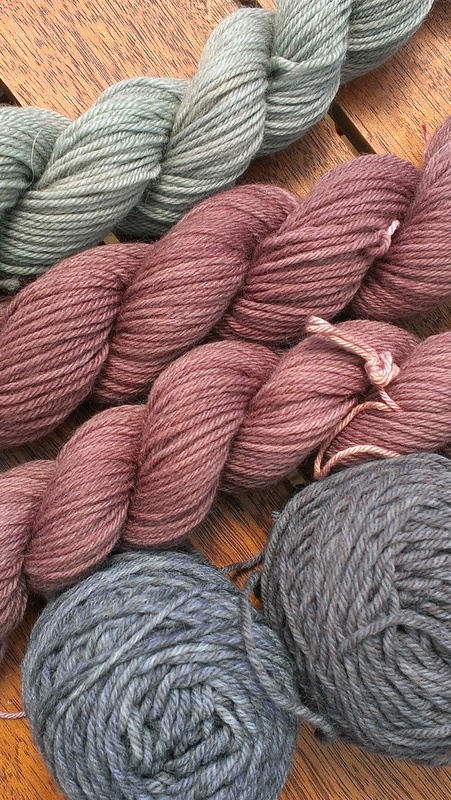 Normally I am not interested in making hats… but I have a lot of hat-sized handspun skeins of glorious fibres. The other day I had the idea I could knit hats for winter solstice and gift them on when the time for hat wearing is nigh. Suddenly, I am keen on making hats! Personally, I am always impressed by my capacity to attach my own feelings to yarn. It’s great when I feel inspired, but it’s less good when I am harbouring the suspicion that I don’t have enough yarn for the project or I should have used a different sized needle. In that context I am likely to put the project down for months… clearly not a rational approach to either problem! Core problem: I don’t know what I’m doing! 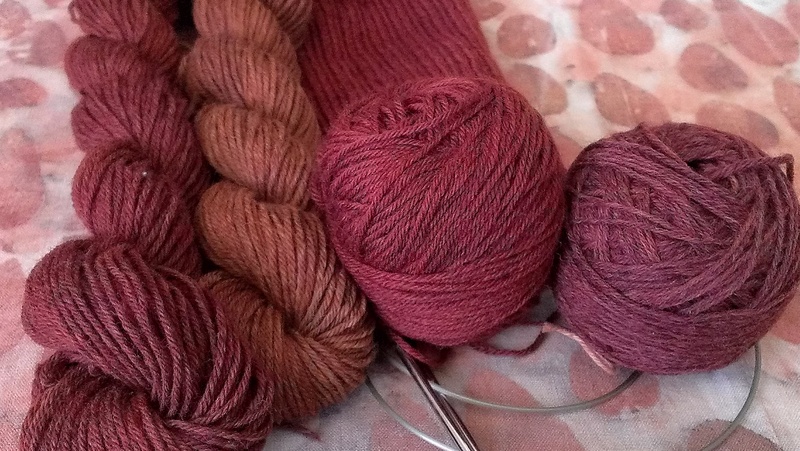 Trying to combine a hat style that’s originally stockinette with some sort of pattern to make it more interesting to knit, and trying to transpose pattern to knitting in the round…. I love the colours you’ve achieved here. Especially in The Travelling Hat. It’s so beautiful.